Put your trust in a reputable garage door contractor that takes pride in offering exceptional customer service. As a native of Raleigh, our owner enjoys helping his local area customers meet their garage door needs. In addition to installing top-quality garage door products, he pays close attention to detail, ensuring every customer's 100% satisfaction. In addition, our company gives back to the community by donating to various local charities. This is more than a business to us. Instead, we care about the city and its residents. Allow us to provide consultations about our garage door services. We'll determine your needs while striving to save you money in the process. Is your garage door stuck? Sometimes it happens. Leaving it open creates problems for you—primarily the security of your home. 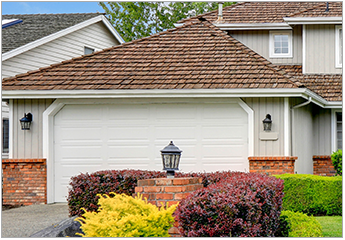 We are a full-service garage door company and we provide 24-hour emergency services. Therefore, we are able to correct the problem at any hour of the day or night. Don't open your home to burglars. Instead, let us provide immediate garage door repair services. Give your car a safe place to park. If you want more than a carport, we have a solution for you. In fact, we are the only company in the area that can do carport to garage conversions. Let us transform the look of your home by adding a garage door to your carport. It not only protects your car from the weather, but it dramatically improves your home's value. Some garage door contractors simply do repairs. Others only provide installation. When you depend on our garage door company, you can expect to receive both. Most importantly, we provide our quality services at affordable rates. Allow us to offer an estimate for you today. Contact us for a newer, more appealing garage door for your home. We serve residential and commercial customers in Raleigh, Cary, Apex, Holly Springs, and Morrisville, North Carolina, as well as the surrounding areas. 7 Days a Week, 8 a.m.–10 p.m.